• RELATED TO LICENSING: All educator licenses and permits, including substitute permits, are considered valid for the duration of the school year if they are valid on the first day of school in the school or district in which the license or permit holder is employed. 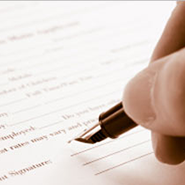 • RELATED TO EMERGENCY PERMITS: Emergency Permits must be obtained within 4 weeks of hiring. Recently, schools and teachers had up to 12 weeks to obtain their Emergency Permits.